I am lifting you up today into the hands of our God...May His influence upon your heart, soul and body strengthen you with peace, wisdom and vigor! I pray for a spirit of encouragement to stir you today, that those things put before you would not be overwhelming, but instead appear as challenging opportunities! I pray supernatural protection over you to surround you where ever you go. I pray for favor with those you are designated to meet and positive fruitfulness to be the result of all your comings and goings throughout the day in Jesus name....Amen. You are well able for He goes before you! I praise God for a person of faith as yourself in this highly important and extremely dangerous time! Please don't give up. Please don't ever forget it is the Lord God who strengthens you and you can do all things through Christ who strengthens you, because greater is He who is in you, than he who is in the world! God bless and keep you and God bless the USA! Thank You for all the wisdom You have and are giving Mike Pompeo. It is amazing to think of how You have used Pompeo to answer the prayers of so many! Lord, give him Your energy, strength, health to do all that You have prepared in advance for him to do, for Your Name's sake, Amen. Father may your spirit of counsel and might rest upon Mike Pompeo. Be with him wherever he goes, be his Shield and Buckler in Christs name. Draw him closer to you and transform him into your image from glory to glory and may he be ready to be caught up to meet you when you return. Amen. 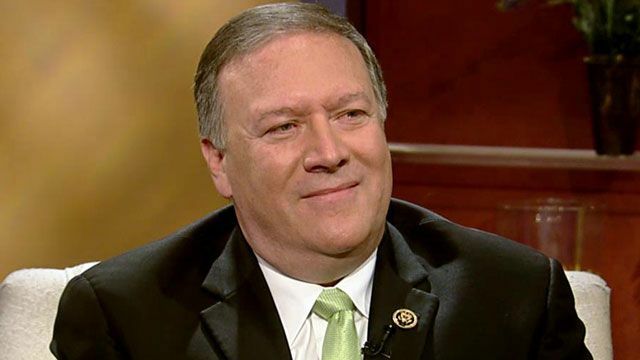 Holy Spirit, guide Mike Pompeo's every action and every word from his mouth. Please give him divine vision to see the force behind the things he hears and sees, so that he does not fall prey to the schemes of the evil one. May what seems complicated or tangled to others be easily understood and handled for your glory, Lord. Give him sweet sleep when he lies down and joy and strength for each new day. Heavenly Father put your hedge of protection around him, his family & friends, along with those who work to bring glory to God in this nation. In Christ Jesus precious name, amen. as he goes about the daily affairs and responsibilities as Secretary of State. May Mr Pompeo know your abiding presense daily, as he seeks you to lead him along the right path of justice. You dear Lord know our thoughts and plans, may they always be to uplift and honour the Name of Jesus. We are so proud of you here in Kansas but most of all may you know that you are being remembered in prayer. May God impart to you his wisdom and may you have his peace in everything that you decide and act upon. We are so thankful that you are in the position that you are in. You are making a positive impact upon these United States of America. Thank you for being so conscientious and for being a Christian most of all.